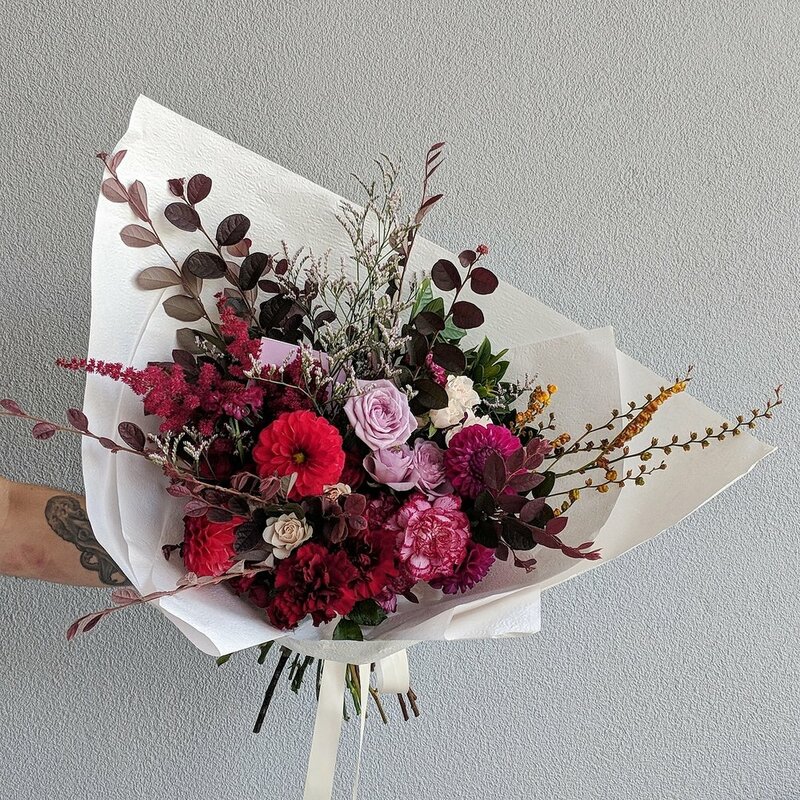 Hello, my name is Mim and I am the florist behind Aurora Floral Studio. I love to create arrangements that are luscious, romantic, filled with texture and organically undone. I draw inspiration from nature, the seasons and the beautiful couples who I have the honour of creating for. Collaborating with couples to create something that is unique and personal to them, is the absolute best part of the job. At Aurora Floral Studio, we pride ourselves in customer service, attention to detail and a true passion for all things flowers. Everything we do is refined and intentional, because all of the little details are hugely important to us. We service all areas from Brisbane, Gold Coast, Sunshine Coast, Byron Bay and beyond. 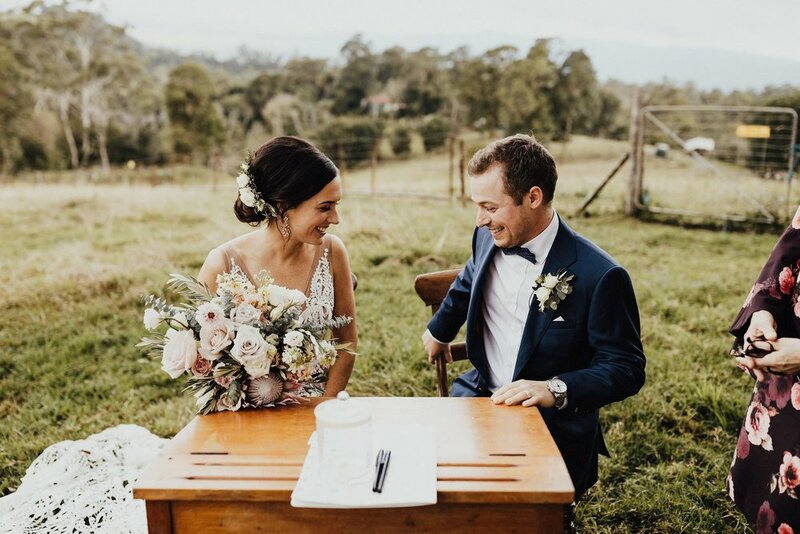 We take pride in creating floral concepts that are unique and personal to each couple. All of the little details are hugely important to us, so we will work with you to create magic, and bring your floral dreams to life. We love working on all kinds of weddings, whether it be a small, intimate occasion or an extravagant affair. We service all areas from Brisbane to Gold Coast, Sunshine Coast, Byron Bay and beyond. We love to create custom bouquets for your loved ones. Our bouquets are created using seasonal flowers in our own personal style, and can be made in a colour palette of your choosing. Bouquets are wrapped in beautifully textured paper, with flowing ribbons and a personalised note from you. Please note that we generally need 48 hours notice to source flowers and put together your order. We can’t wait to make something beautiful for you.